Amanda Mar 27 2016 7:54 am What episode does Sayaka Fujioka appear in? kuromitsu Nov 14 2015 4:16 am According to Japanese Wikipedia, Hiruma's daughter is played by Sayaka Fujioka. Hiruma's secretary is played by Yoo Min/Yuko Fueki. cecilia May 03 2014 10:48 am I just started to watch on Hong Kong TV. I would like to know what happen to Doctor X 's father Excellent drama. grey Jan 07 2014 6:10 am This season was great, She rocks! I'd love to watch another one. Anon Nov 01 2013 6:05 am I love season 1 so much >.< Anyone knows which website can i watch free online with english subs? readlead Oct 16 2013 10:04 am LOVE the first season, cant wait to see this tomorrow, hope it will be good as 1st season. OMG, just realize that Naohito in it too! WOW! really cat wait this! aafa83 Oct 08 2013 8:20 pm Loved the first season. I can't wait for season 2 ! 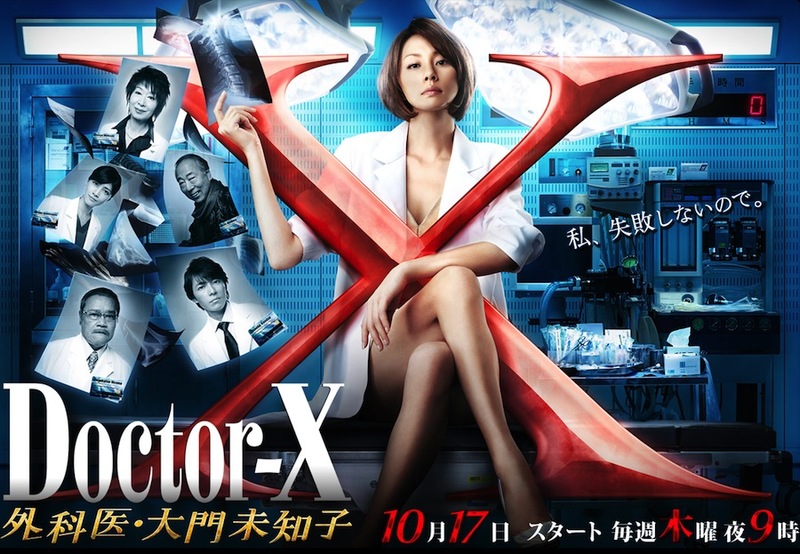 Jack Sep 17 2013 9:56 am Really looking forward to another season of Doctor X. The first was awesome. Yonekura Ryoko is the best.